You don't become the first woman elected to head a men’s sports union by playing nice. The labor movement slogans that have guided generations include “an injury to one is an injury to all” and “solidarity forever.” But my favorite—because it speaks most directly to strategy—is, “The best way to avoid a strike is to prepare for one.” In other words, bosses will only back down and blink if they survey your side and think that they can lose. Because of various congressional shields and anti-trust exemptions, pro sports operate in a constitution-free zone, without the customary rights accorded in labor law. You get drafted to your city of work, a salary cap determines what you can make and, arbitrarily, you can be deemed not old enough to work. Most of the sports media—not to mention fans—have either scoffed at or ignored these realities, saying that the exorbitant salaries—the NBA average is $4.5 million a year—more than justify any hardships. But that does not change the fact that wages are artificially capped, with the supposed business geniuses that own NBA franchises protected from their own checkbooks like over-caffeinated teenagers. It does not change an accepted narrative that trickles down into the main vein of US life: that the bosses always know—and do—what’s best. She also said that the current revenue split, where 50 percent goes to ownership, was ridiculous and would change when the players opt out of the current CBA—a CBA that shifted billions of dollars in wealth from players to owners—and renegotiates in 2017. Every quote from Roberts is a gem, the sort of thing player and labor advocates have been saying on the margins for decades. Whether blasting the rookie wage scale, the “monopoly” practices of the league, or the hypocrisy of owners, she is reframing consecrated conventional wisdoms with a sandblaster. 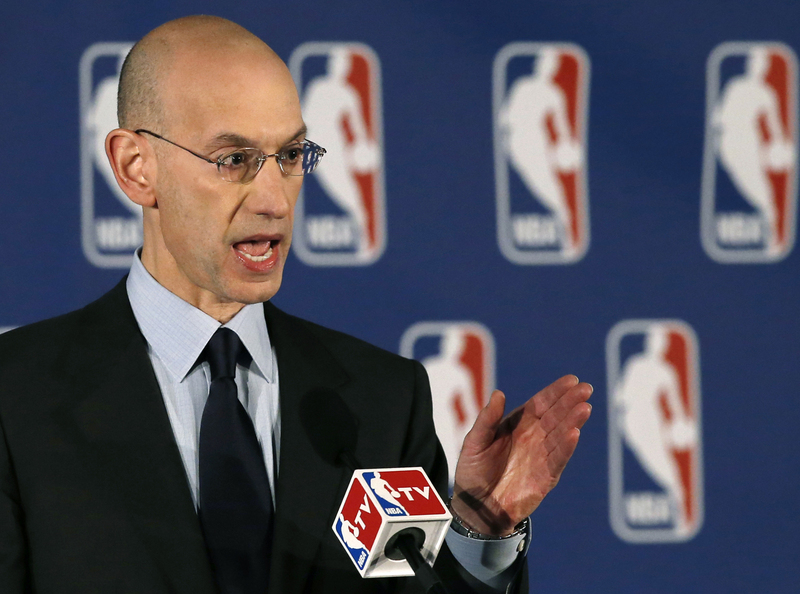 Not surprisingly, NBA commissioner Adam Silver, who took a break from his recent campaign to get the owners a cut of the $400 billion illegal gambling industry, released a statement blasting Roberts’s assertions. You don’t become the first woman elected to head a men’s sports union by playing nice. Adam Silver, a child of privilege from the New York City suburbs, should take note of Roberts, who has traveled from a housing project in the South Bronx to becoming a professor at Harvard and a high-powered attorney called “the finest trial lawyer in the nation.” “My past,” she told a room of NBA players, “is littered with the bones of men who were foolish enough to think I was someone they could sleep on.” If Adam Silver did not take Roberts seriously before, he had better start. In the new narrative, Silver and the owners have a debt to pay.